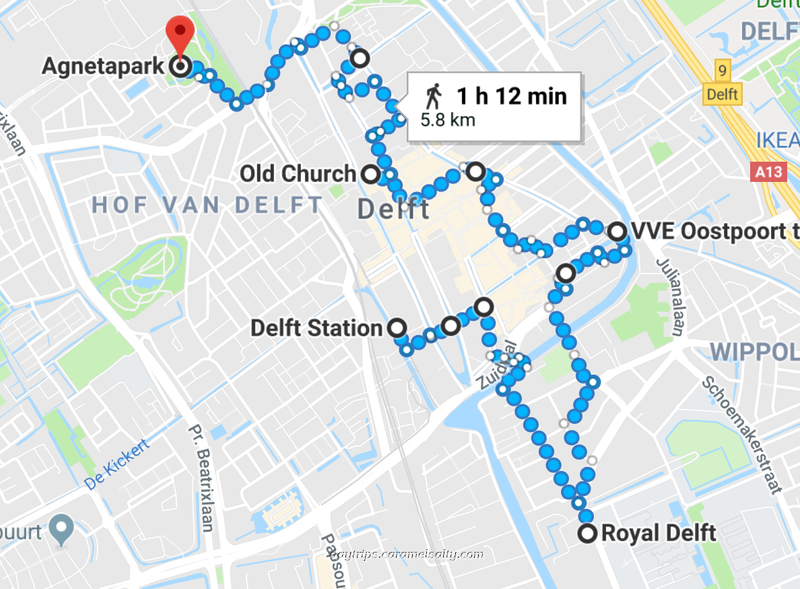 The pace of history thus far in Delft has not been short of intense. So where did I get up to? William of Orange has been assassinated, the 80 Year War of Independence from Spain is still raging, the Dutch East Indies Company (VOC) are looting Portuguese ships. 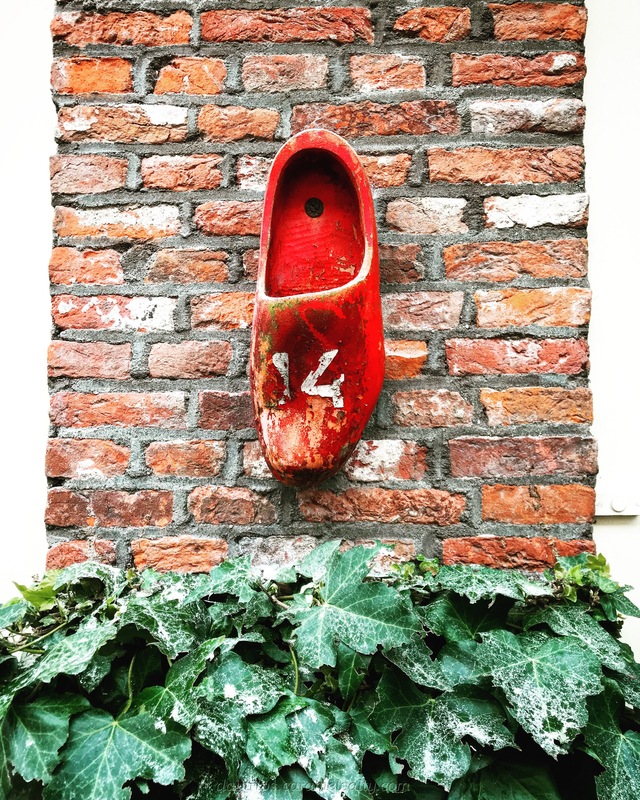 And inspired by stolen Mingware, the ceramics industry blossoms in Holland. 1648 sees the end of the 80 Years War with Spain. Although the Dutch blockade of the Spanish-ruled southern Provinces (i.e. Belgium) continues, old quarrels are forgotten as both Spain and the Netherlands become concern by the threat from the French. And so Delft becomes part of a Dutch Republic, now recognised by the Spanish. The Dutch are still not done with wars by a long shot. 1652-1654 sees the first Anglo-Dutch War, a dispute between England and Holland over ownership of the seas. It ends with the Battle of Scheveningen (see my Scheveningen blog) which sees a Dutch hero die. 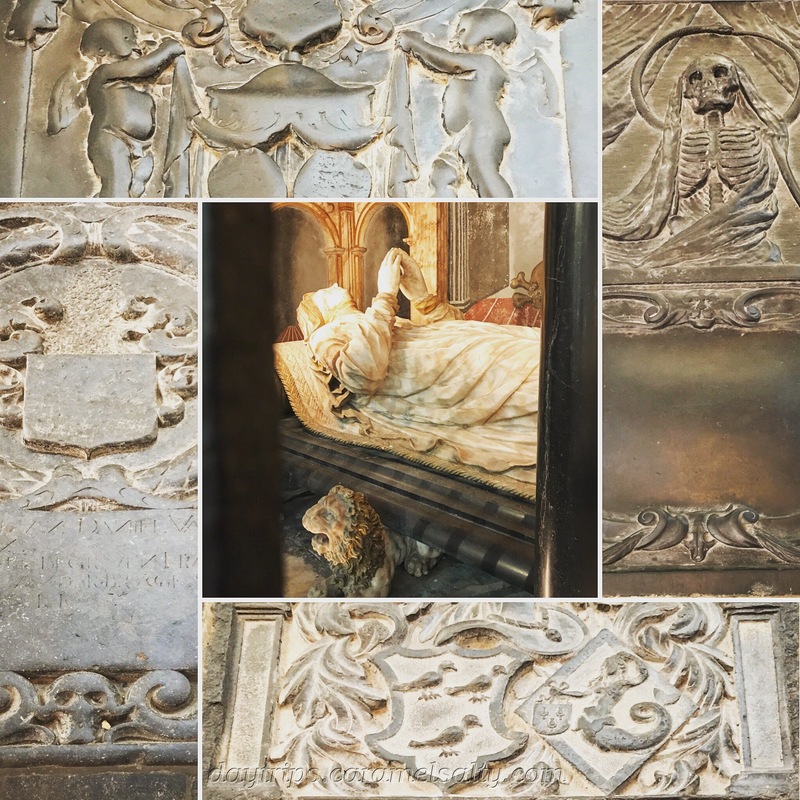 Maarten Tromp is buried in the most ostentatious of tombs in the oldest building in Delft,  the Oude Kerk (original building, 1050). The ongoing war with the Portuguese ends in 1661, when the Dutch have more or less taken over all Portuguese territories abroad. This includes the trading post of Melaka in 1641. 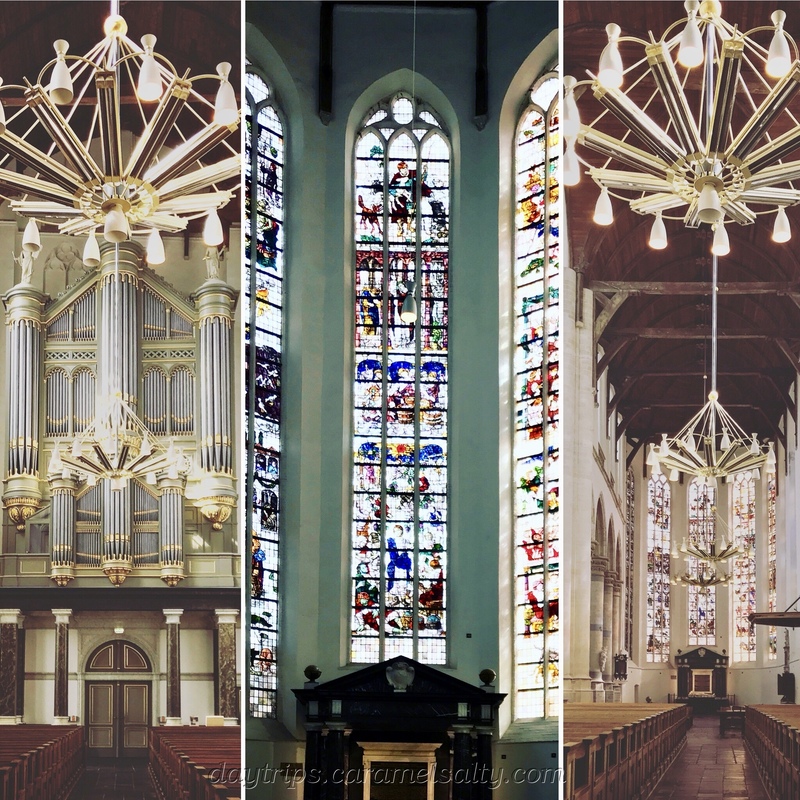 The Dutch victory is covered in my Melaka blog. There ought to be a proverb about not putting all your gunpowder in one place. Well, the Dutch do exactly that, all 40 tons of it. In 1654, the Delft Thunderclap, a terrific ammunition explosion, devastates the city, including the Oude and Nieuwe Kerk. But the explosion yields new opportunities for the ceramics industry, as they expand into the damaged breweries now being abandoned by the already declining beer industry at this time. 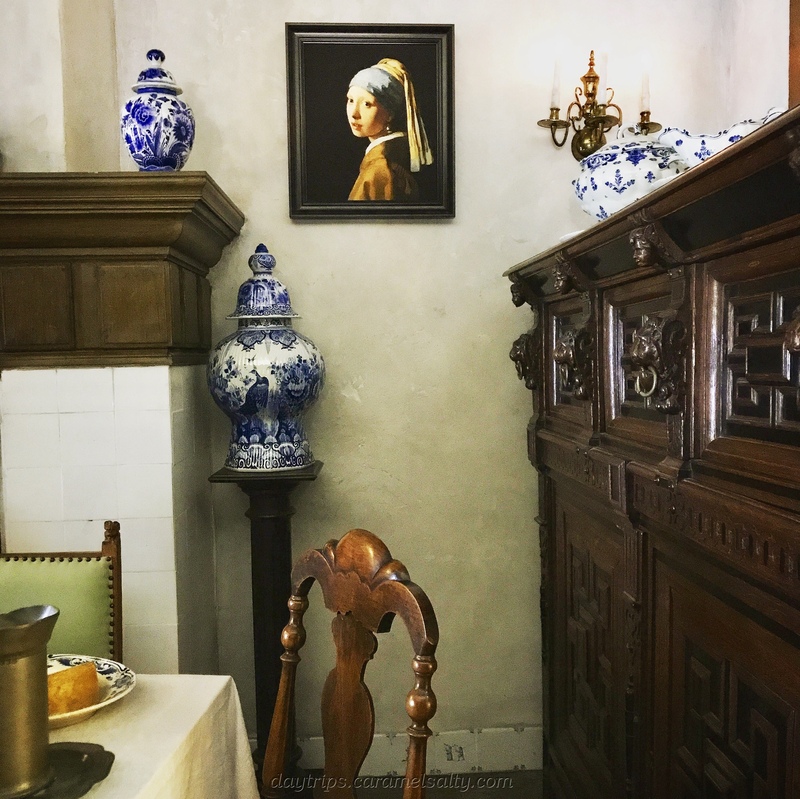 Vermeer is an adult during the Delft Thunderclap. But he only starts producing paintings 4 years later. The 17th century is the Golden Age of Dutch Art, when Dutch artists produce between 5-10 million paintings. 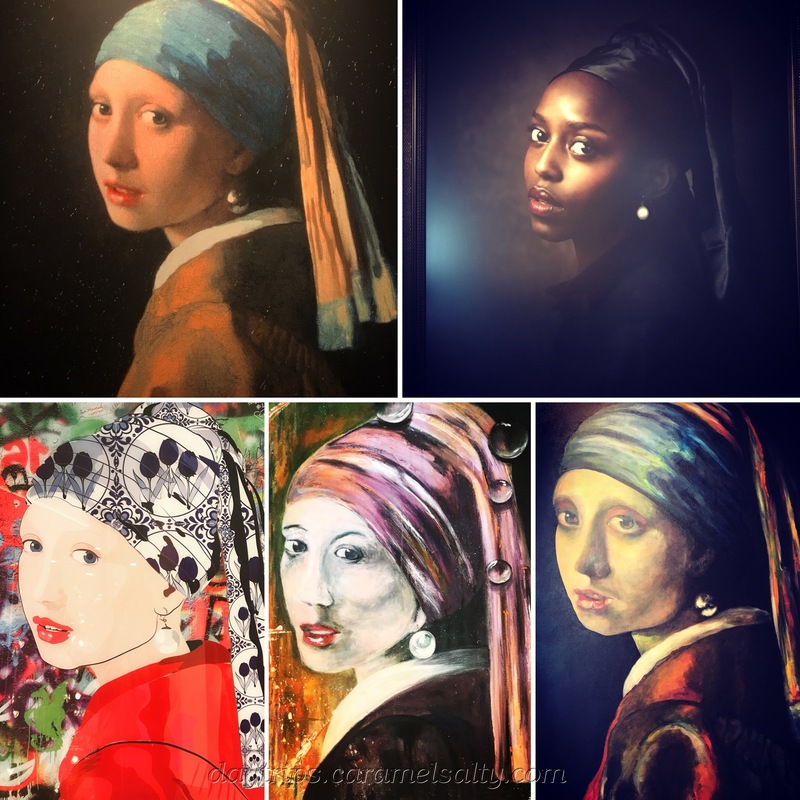 But Vermeer only paints around 40-50 paintings, a relatively low number. 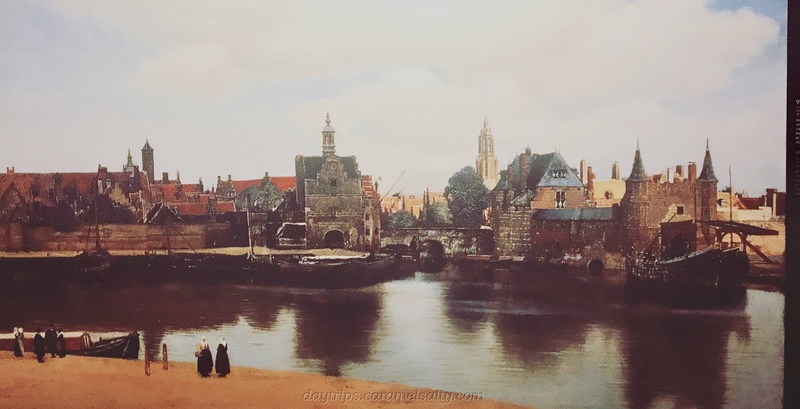 All of his paintings are reproduced and displayed at  the Vermeer Centrum. And whats more, I love the fact that they have done so in chronological order. 1672 is Holland’s Year of Disaster (het Rampjaar). A full European invasion of English, French and German forces take much of the Dutch by surprise. In 1673 Vermeer is enlisted in the army. Nobody has heard of him. Nobody knows about his paintings. He dies in 1675, of illness, a pauper, unknown, leaving his family in lots of debt. Vemeer is buried in the Oude Kerk, but the exact location of his grave is not known. History jumps a century to 1795, when Napoleon invades the Netherlands. The Dutch ceramic industry declines in the economic upheaval, allowing the English potteries to gain ascendency. Napoleon renames the Netherlands as the Batavian Republic. Supporters of the French revolution call of liberty, equality and fraternity raid the Oude Kerk and its leaning tower called Scheve Jan or Crooked Jan (covered in scaffolding when I was there). Their purpose is to hack away at the coat of arms and other symbols of class that adorn all of the elaborate tombs here. Fast forward another century, in 1876, Joost Thooft takes over De Procelyn Fles (The Procelain Jar), the only surviving procelain factory in Delft. 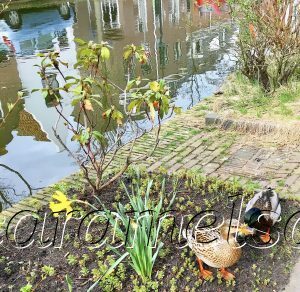 The walk to today’s  Royal Delft Factory is quite an enjoyable little walk, taking me past beds of pansies, tulips, murals, a button shop, a mosaic sofa and a mini library towards an area of light industry, just on the outskirts of the city’s canals. The museum is a tourist magnet, and so I’m not suprised at the queues. I decide to do the tour in reverse order to bypass the traffic. 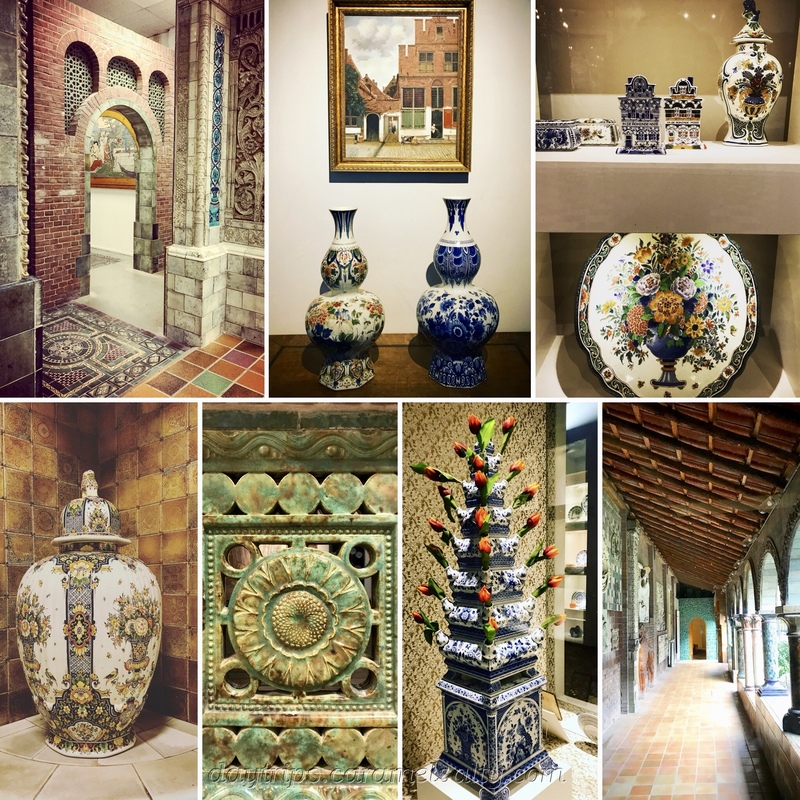 The audio guide narrates the history of Delft ceramics very well, with displays of ceramics over the different eras. I also see a Master Painter (minimum 10 years experience) at work. 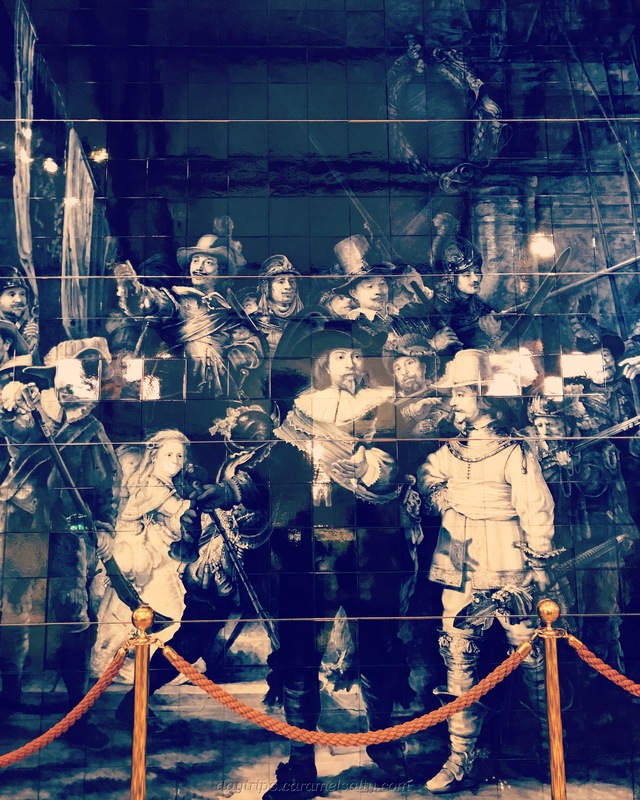 And the skills of the Delft Master Painters excel in what is the highlight of the museum for me, the 480 ceramic tile replica of Rembrandt’s Nightwatch. The former home of another Delft artist, Paul Tetar van Elven (1823-1896) is now the  Museum Paul Tetar van Elvan. It displays his original works, and also his copy paintings, including that of Raphael and Rubens. As a collector, his Chinese, Japanese and Dutch ceramics are also showcased. The architecture of the house itself ranges from the 19th century main quarters to the delightful creaking 17th century timber attic. Whilst Paul Tetar is still alive, the Industrial Revolution is reaching its peak. Factory workers across Europe live in impoverished and neglected housing. A Dutch industrialist named Jacob van Marken purchases  Agnetapark in 1887 to rehouse his workers in much better conditions. 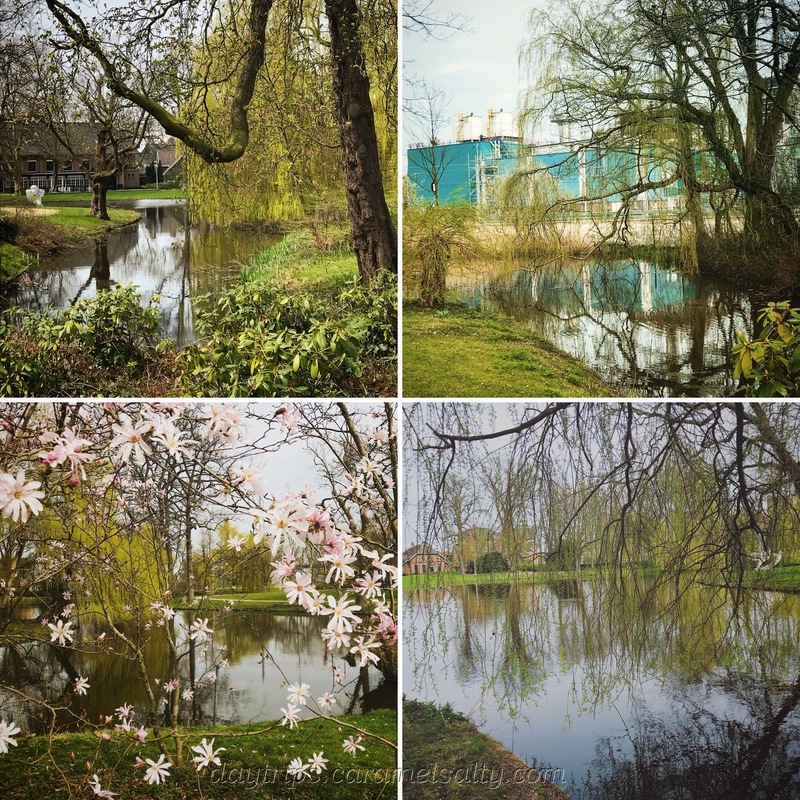 This park still sits in a semi urban -industrial setting just along the main road into Delft. What is fascinating about this story is not Jacob, but Agneta Matthes, who matches Jacob in the drive for business and social reform. Rules in those days required a married woman to have the approval of her husband to conduct business, which is why not much is heard of her. Her story of her business and social acumen, dealing with her husband’s infidelity and a park which didn’t go down too well with the workers initially, makes quite a read. 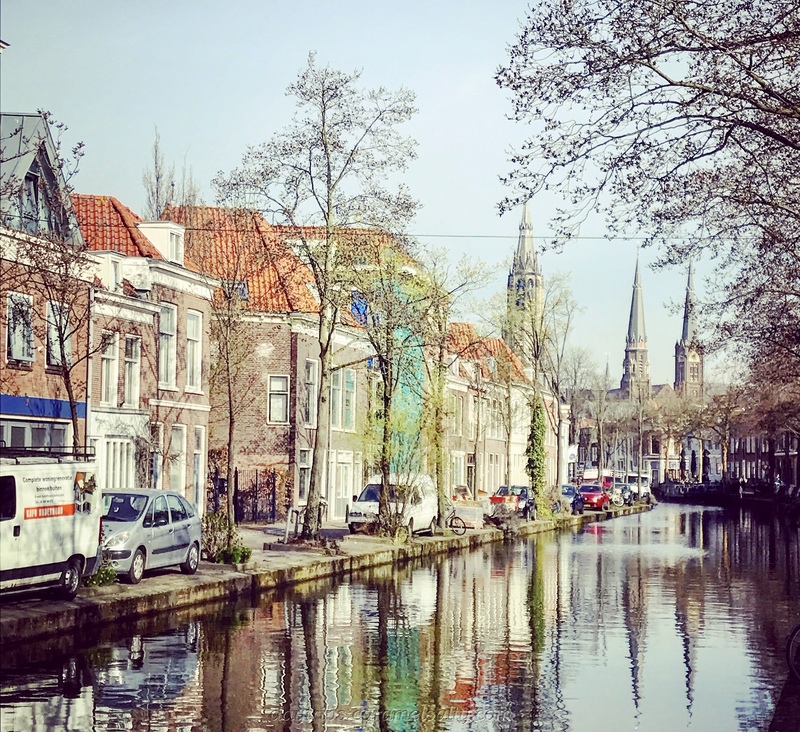 Delft has proven to be a whistle-stop tour of Dutch history. Yet I’ve skipped so much, which can only mean one thing. 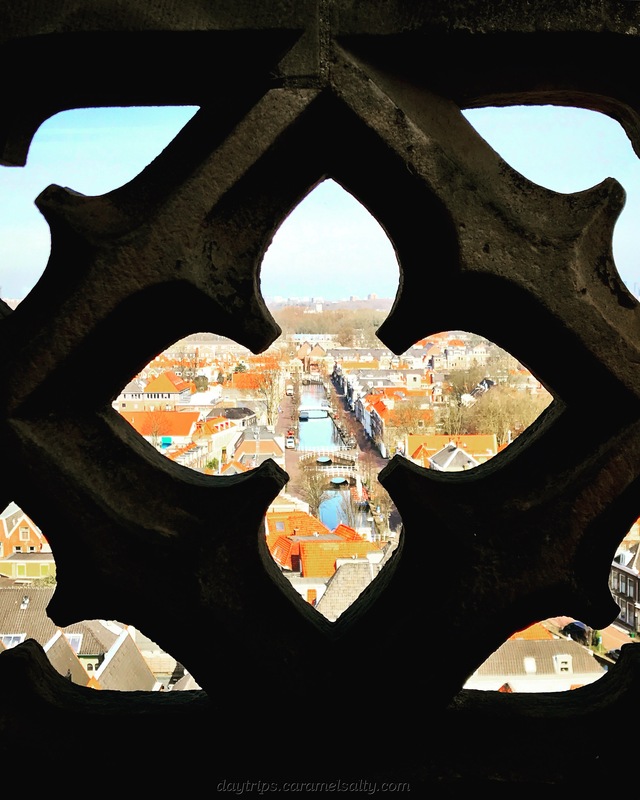 My journey through the history of the Low Countries isn’t over yet. 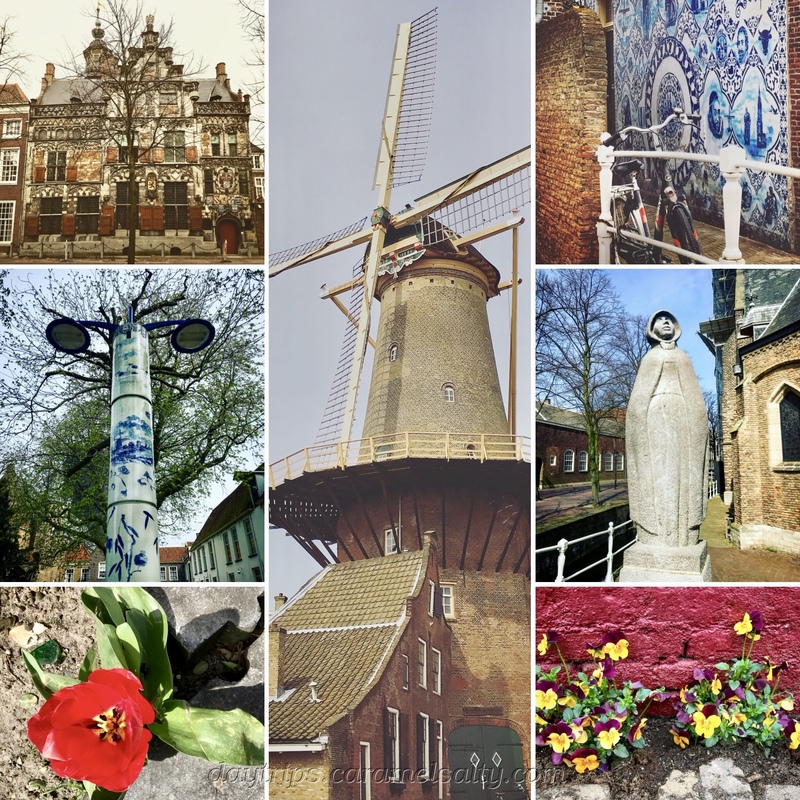 Delft – Building A Nation And A Ceramics Empire – my morning’s wandering around Delft. 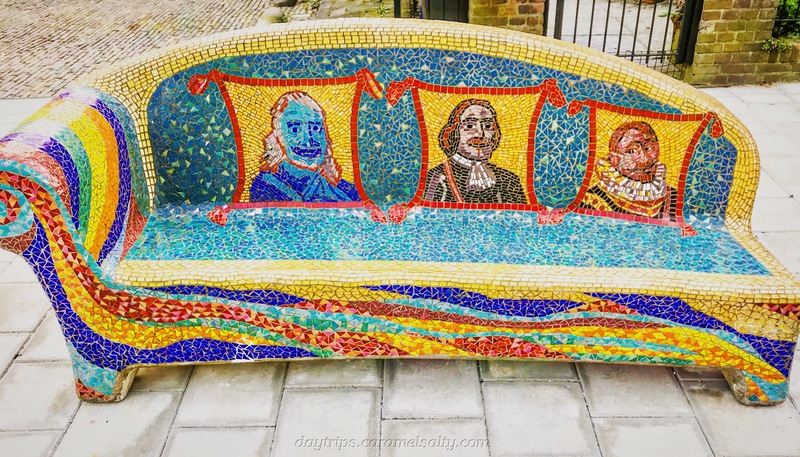 Melaka – I Travel Back In Time – how the Dutch get hold of Melaka, an important trading post in the Far East. The Hague – Arriving By Train At The Seaside Town of Scheveningen – where the story of the Battle of Scheveningen unfolds. 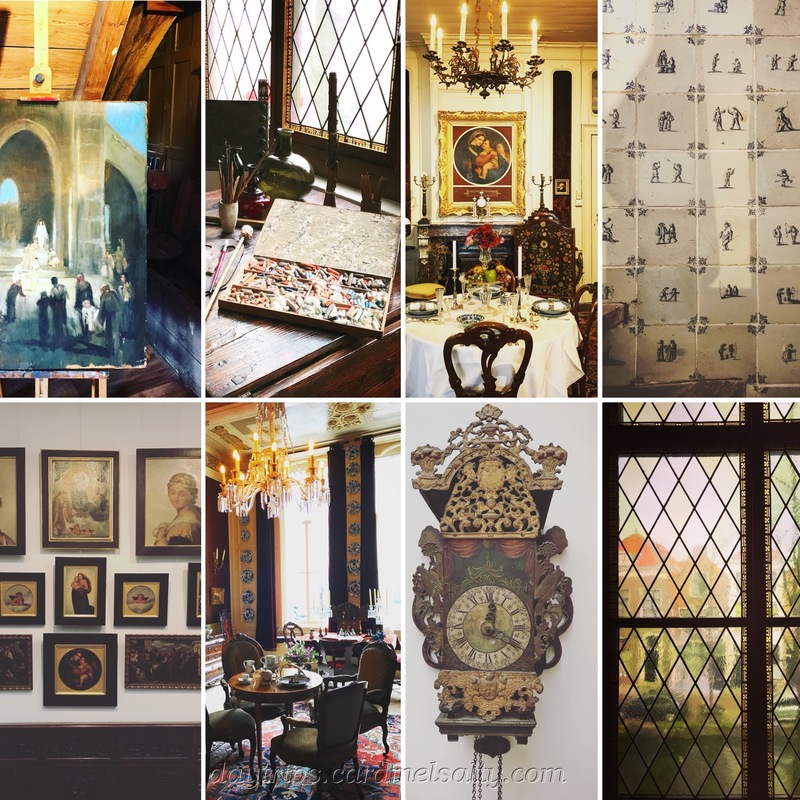 Museum Paul Tetar van Elven (website) – closed Monday, afternoons only, entrance fee applies, free with Museumcard.